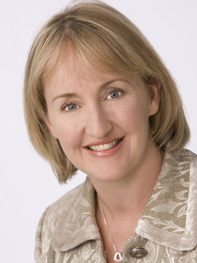 The New Zealand Minister for Telecommunications Amy Adams has had Global Mode on her radar the last few weeks. As reported by 3News she made the point at the Nethui South conference in Christchurch commenting that the sector needs to evolve. Synergies between communications and broadcasting make it a good move to have one minister responsible for both. As she looks towards 2020, the Minister has called for a review of the Telecommunications Act. BNSL was invited to be part of the first workshops jointly run by Internet NZ and NZ’s Ministry of Business, Innovation and Employment (MBIE). The workshops included corporate representatives from the incumbent telecommunications and broadcasters, companies from the start-up ecosystem and industry respected legal representatives. We valued the opportunity to be involved in this multi-stakeholder cooperative approach to the policy development processes. For a telecommunication review what was interesting was infrastructure was NOT a large topic of debate. NZ has learnt the lessons from the Australian NBN and has a good plan in place to get national fibre coverage in place. The topic of conversation surrounded the digital economy, the promise of high-speed internet isn’t faster downloads, it’s better access to education, online healthcare and e-commerce opportunities. Confirming the views shared by the industry just a few weeks after her comments at NetHui the honourable Minister Amy Adams was speaking with TechDay about her plans for this term, UFB and why she lobbied for the broadcasting portfolio. Having the two portfolios allows the Minister to drive the changes she believes will be necessary as the two platforms continue to converge – something she says is a key priority for her going forward. Adams says while government shouldn’t dictate how business models develop; it needs to ensure there is flexibility in those models and customer protection, and not ‘ridiculous levels of bureaucracy’. “We’re moving into a world where geo-location seems a bit fictional, and people don’t understand why they can’t access what they want to” – says Adams. When we started Global Mode®, our aim was to provide consumers with a reason to upgrade to high-speed Internet. As UFB is passing 10% uptake and on target, we’re shifting our focus slightly. Our goals for 2015 will be to promote and enable the cross-border delivery of services, protect the global free flow of information and enable an open, & distributed and interconnected nature of the Internet. In our view, to enable the digital economy, legislation must provide a platform for a flexible commercial environment which empowers companies to adapt rapidly to constant change, with policies guided by global economic growth. The global Internet is a threat to traditional business models, but it also provides an amazing opportunity if we can create a society that leverages the best New Zealand has offer, delivered online and exported. In less than a year through unmet consumer demand & increased market awareness, BNSL has become the largest wholesale provider of performance geo-unblocking DNS services anywhere in the world. By creating a political environment which fosters transparency, fair processes, and accountability and effective and proactive approach to privacy protection at a global level the future can only be bright. New Zealand will be a world leader in the digital economy; we’ve already proven it.